Book is Officially released - Started writing this book a year ago. But actually took 35 years of blood, sweat, and tears. 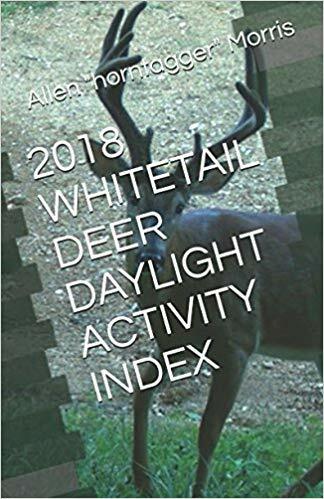 2018 Daylight Deer Activity Index - Book is Officially release in 2018 - 18th year of providing information to hunters and counting. Business Imagery Consultant -- Designing the theme for your business to reflect the region. By researching Fur, Fin, Feather and Outdoor History and Heritage for each region of the country. Work to find you the correct Taxidermy, Artifacts, Photographs and Muralist for each region of the country. 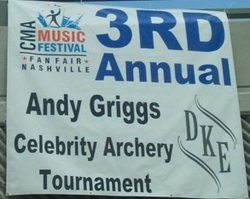 Working with Game and Fish Departments throughout the country. Working with Conservation Groups throughout the country. News Agency Outdoor Consultant - Need background information for News story on ethics, history, biology, management or traditions of hunting or wildlife. Enjoy the Outdoors - Want your hunting adventure and the taxidermy to reflect you adventure in your home - Can work with your taxidermist, help you find artificats to build your own diorama in your home. Outdoor Product Development - Help you develop you product with the customer in mind. What works in the real world. What you customer wants. Because I am the hunter in the wood and the customer. Outdoor Product Representative - Looking for someone to help set up dealers with your new product. Outdoor Product Reviews - Reveiw of products that I have tried. Watch free videos and episodes of THE NEXT BIG THING in HUNTING of the coolest HUNTING ONLY products to just hit the market, new startup company or products not seen in your area of the country. Click on photo if you need more information. Conservationist for Wildlife and Habitat Improvement - Common sense approach on providing you with property evaluation of your land for Whitetail Deer and other wildlife. Providing you with complete design for Whitetail Deer Management and Hunting including the use of food plots, sanctuaries, travel routes, water sources, mineral sites, feeding stations, stand sites, soil test and posting. Providing you with latest research information on Food plot seed for deer and other wildlife, wildlife management products, wildlife management plans, boundary effects, and working with your game and fish department. Managed a family property in Southern Missouri near the Arkansas Line. Over the years with blood and sweat from 1995 to 2003. It became a Quality Deer Managed Property and a Quality Turkey Managed Property. The property was sold. Turkey Buzzard Ranch a White and Red Oak property was established in March of 2007. Over the years of having trees cleared, establishing of high forage food plots, timber cut sanctuary, quite water sources and putting up deer stands, etc. This section is for family and friends only.